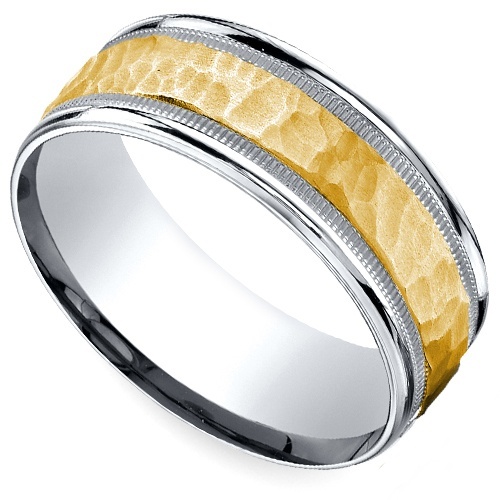 Commemorate your wedding day with a two-tone hammered men’s wedding ring from Brilliance. 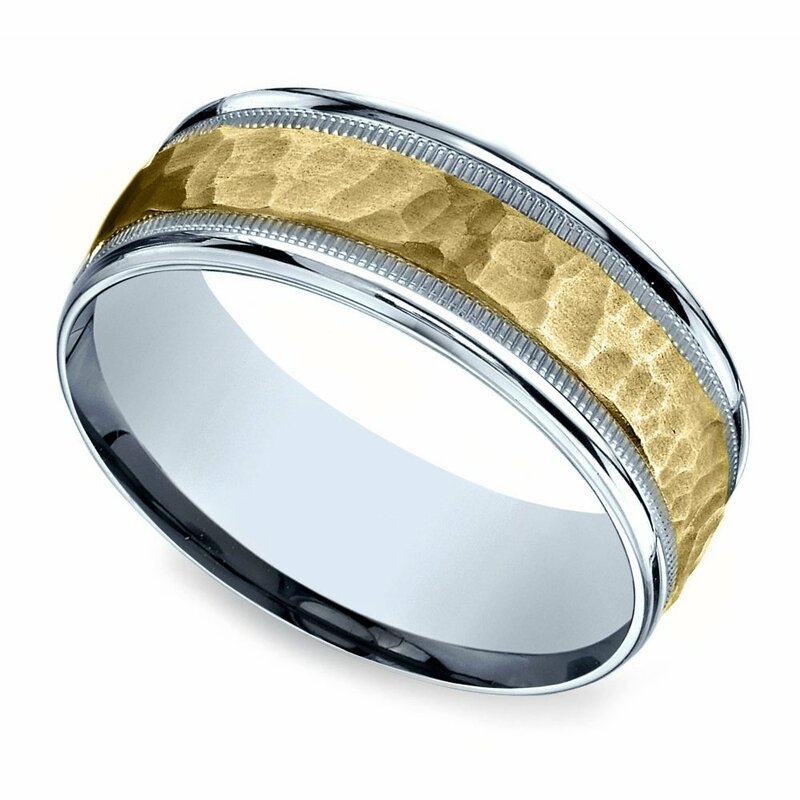 The wedding band features a hammered finish center in yellow gold and a high-polish milgrain edging in white gold, giving this traditional style a modern twist. Proudly made in the USA, the ring boasts our unique comfort fit and is perfect for the active, yet stylish, groom-to-be. Interested in our other designs? Visit our Men’s Wedding Ring catalog for a range of options and styles.